Man, to see these two rock the stage together is always a treat to me. 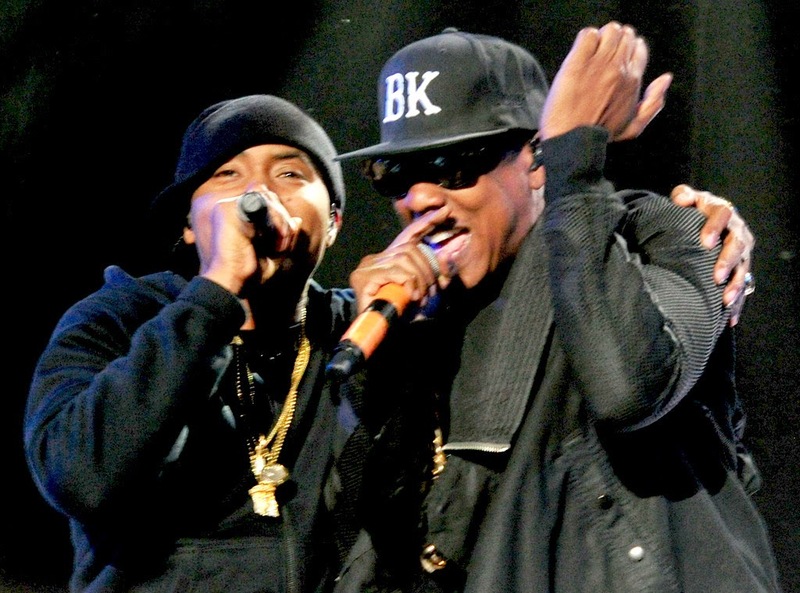 Especially because right in the heat of their beef back in the day, Nas who was my favorite rapper at the time introduced me to Jay Z. I was pretty intrigued by how well they dissed each other, but a big piece of me always wished they'd make up for moments just like this. Now a days, it's not too much of a surprise to see them hangin together. They have come so far. Last night just after Beyonce's surprise moment with sister Solange..Jay Z surprised us and jumped on stage with Nas. They tore it down together like two of the best to ever do it should. Jay came out on Dead Presidents II and finished his feature up with a bit of Where I'm From. Jay congratulated Nasir on 20 yrs of the classic Illmatic (his debut album) before exiting the stage. If you missed them rockin together check out Nas' full set below. Jay comes out at the 10 minute mark. Jay Z + Beyonce Announce 'On The Run' Tour!